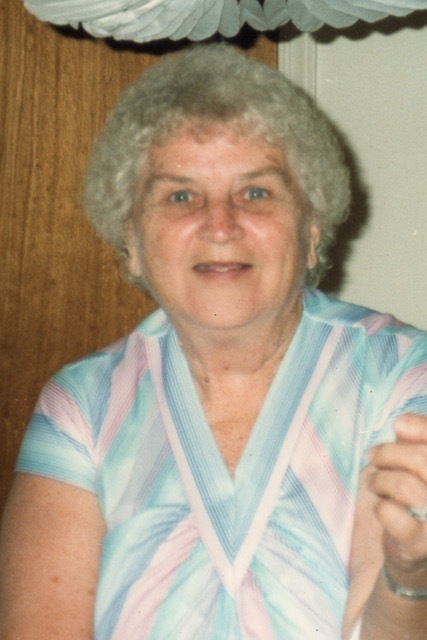 Margaret (Margie) Cushman of Hickory, North Carolina passed away peacefully at Carolina Caring, Newton, NC on February 8, 2019 after a brief illness. She would have been 95 on her next birthday. Margie was born to Peter and Anna Hrina Biss on April 11, 1924 in Garfield, New Jersey. Peter and Anna met in the United States but immigrated from the same small village now known as Údol, Slovakia to Ellis Island in 1905 and 1910, respectively. Margie was preceded in death by her five sisters, Helen Biss, Mary Yurgaitis, Julia Biss, and twin sisters Olga Olasin and Rose Erazmus. She was also preceded in death by her four brothers; John, Peter, Steven and Joseph. Margie married Joseph John Pahuski of Luzerne, PA on September 14, 1946. Together they had a son, Joseph Pahuski in 1951. She later married Leroy Edward Cushman of Poltney, Vermont on September 22, 1971. Roy and Margie lived in St. Petersburg, Florida and then nearby Largo, Florida until Roy’s death in 1975. Margie is survived by her brother Raymond Biss (Joyce), her son, Joseph, his partner, Corinne, and their children Candice and twins Catherine and Joseph as well as many nieces and nephews. Margie moved to Newton, North Carolina in 2003 where she lived with her sister, Olga. In 2012, she moved to Trinity Village in Hickory, North Carolina. The family is grateful for the kind and caring staff at Trinity Village and her niece JoAnn Veith who provided constant support. There will be a memorial service at Trinity Village, 1265 21st St NE, Hickory, NC on Friday, February 15 at 3:00 PM. A graveside service will be held at East Ridgelawn Cemetery in Clifton, New Jersey at a yet to be determined date where Margie will be interred with her parents, Peter and Anna. In lieu of flowers, donations in her memory may be made to Trinity Village, 1265 21st St NE, Hickory, NC 28601 or Carolina Caring, 3975 Robinson Rd, Newton, NC 28658. Please sign the online guestbook at www.jenkinsfuneralhome.net. The Cushman family has entrusted arrangements to Jenkins Funeral Home and Cremation Service in Newton 828-464-1555.